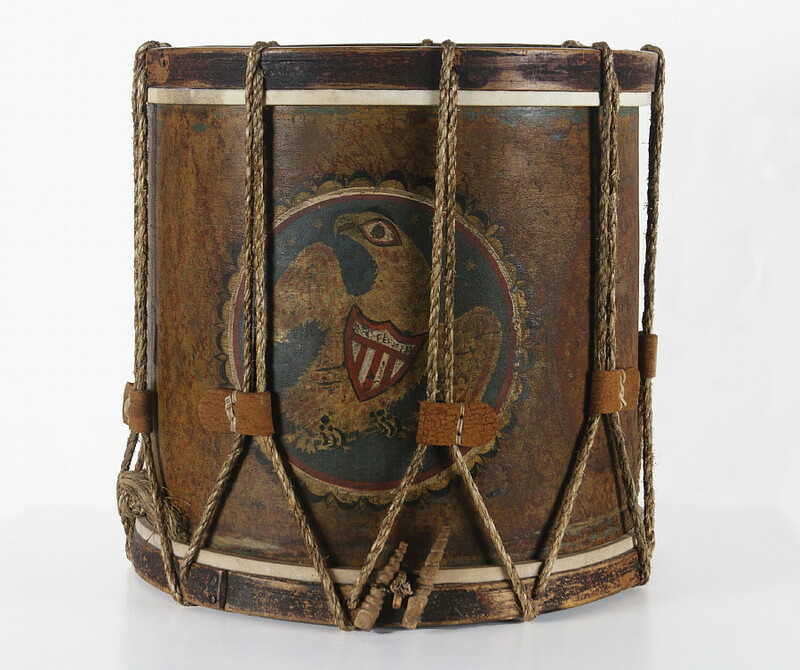 Pre-Civil war American militia drum, ca 1812-1848 (war of 1812-Mexican war era) with a fantastic folk-style eagle in a red, white, and blue medallion with a black and gold swag border. 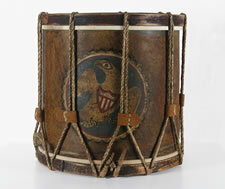 The body of the drum is red and mustard, vinegar-decorated (sponge-painted) over an earlier Prussian blue. The entire surface of the drum is paint-decorated, which is a substantial plus over other drums where only a rectangular panel or the cartouche is painted. The current surface is both exceptional and early, probably added to refresh the design for use in the Mexican War (1846-48) or the Civil War (1861-65). 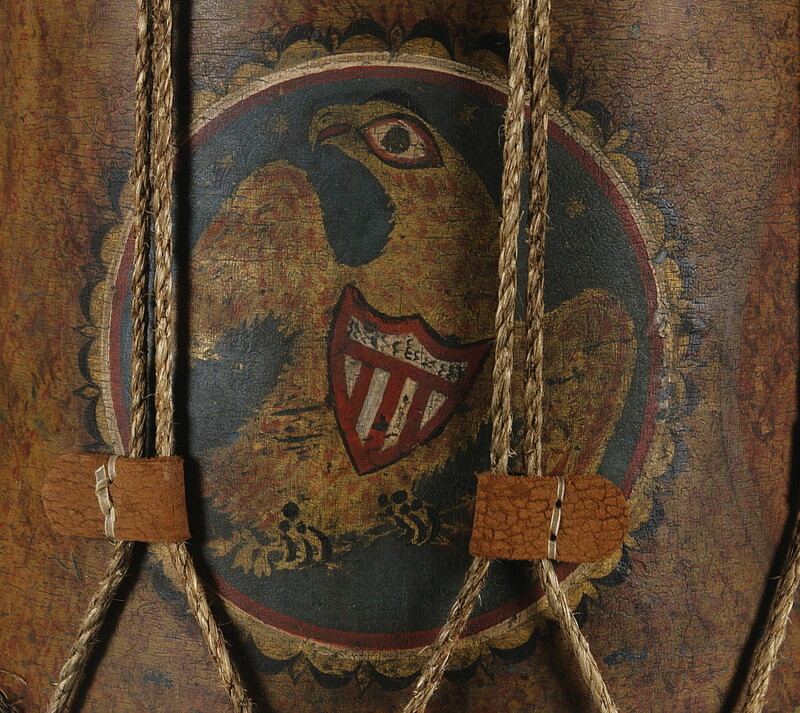 The eagle is one of the best I've ever seen on a drum in terms of an early folk interpretation, with a huge eye of exaggerated size, red feathers on a gold ground, a whimsical shield, and eight-pointed stars behind it in the blue sphere. Underneath the present paint is evidence of a more crude, elliptical medallion. The blue background suggests infantry use (blue for infantry and red for artillery). The drum retains what are either its original gut snares, or early replacements, which is rather remarkable. Condition: Replaced top skin, ropes and ears, all of which is expected.